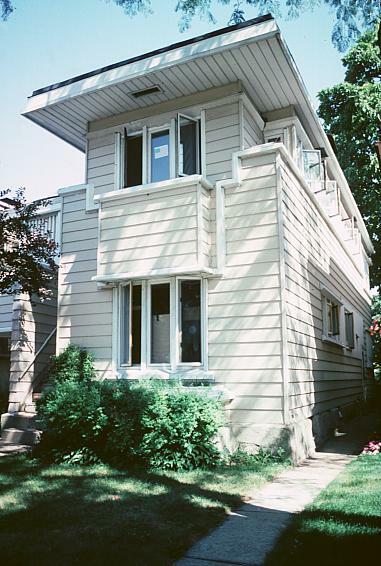 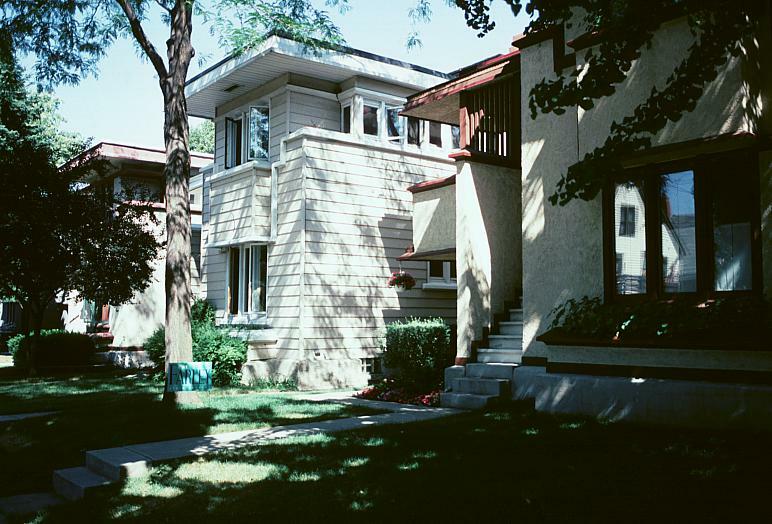 This Milwaukee block (2700 block) has six low-cost homes designed by Wright. 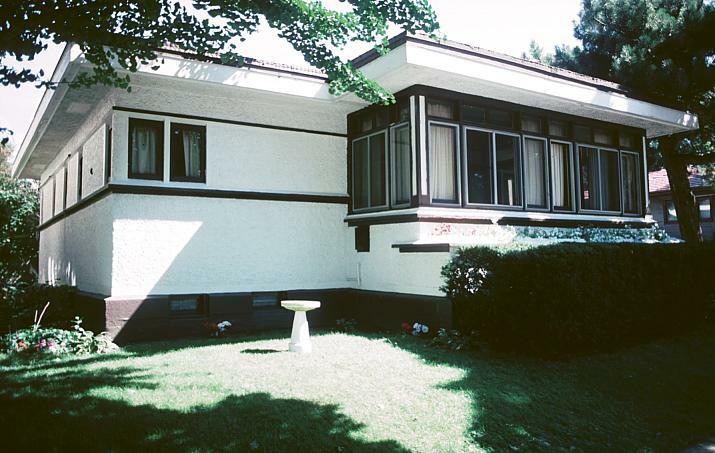 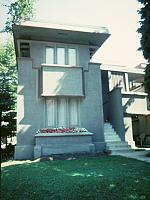 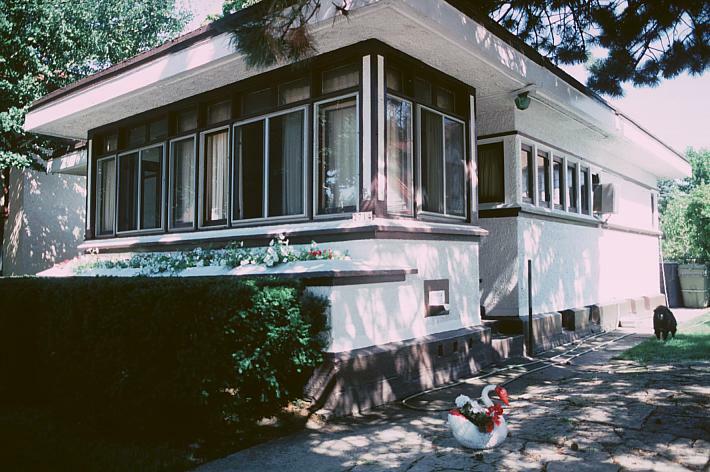 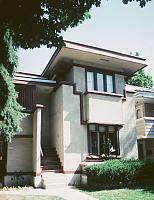 The American System Built Homes are examples of Prairie style homes made of prefabricated units (pre-cut lumber with modular designs based on a 3 by 3 grid). 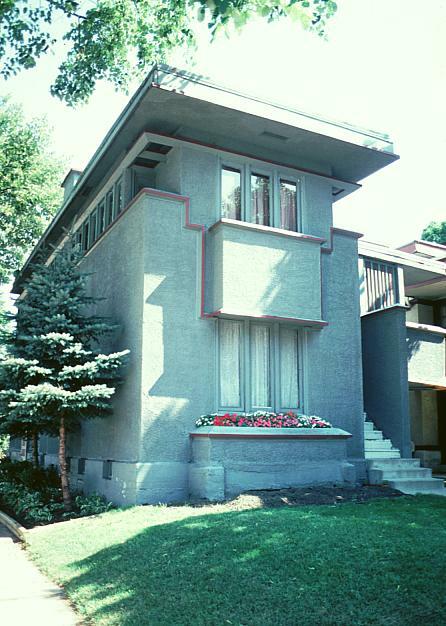 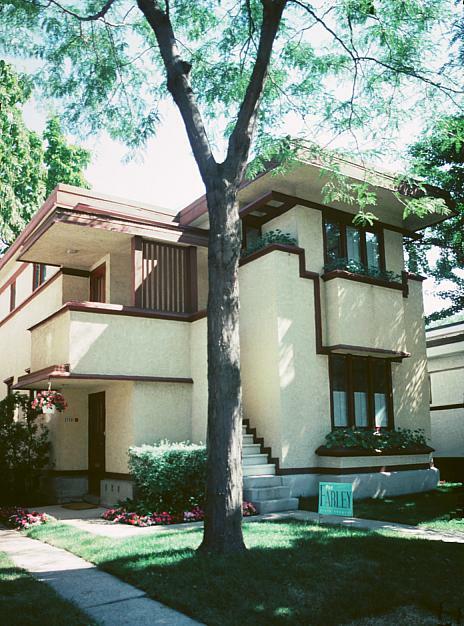 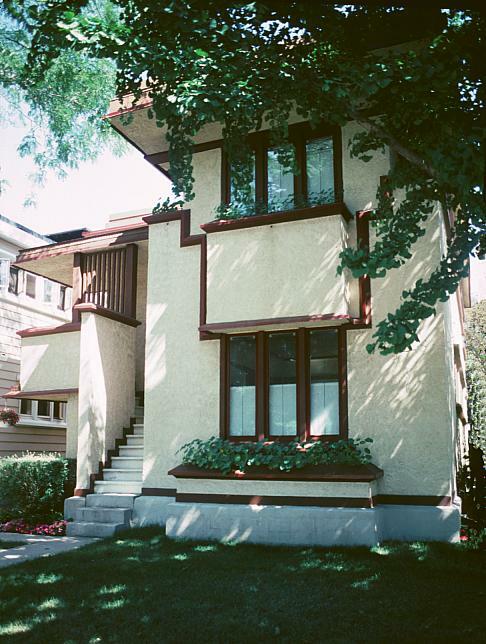 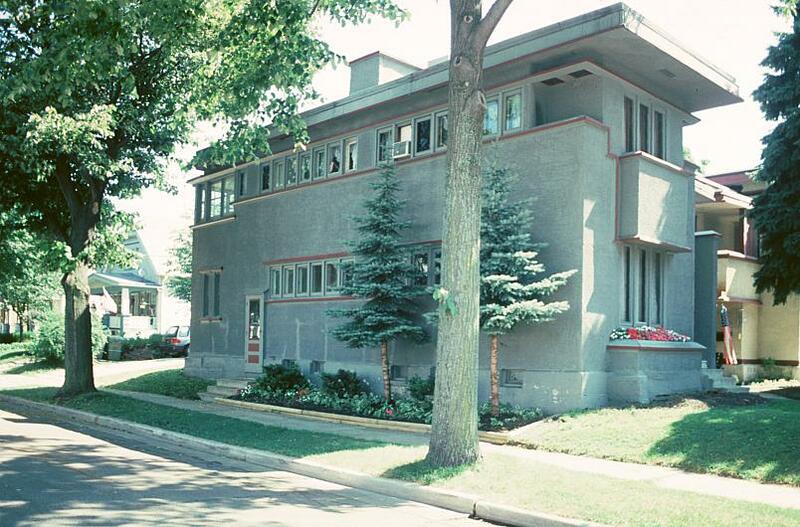 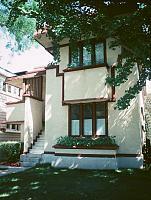 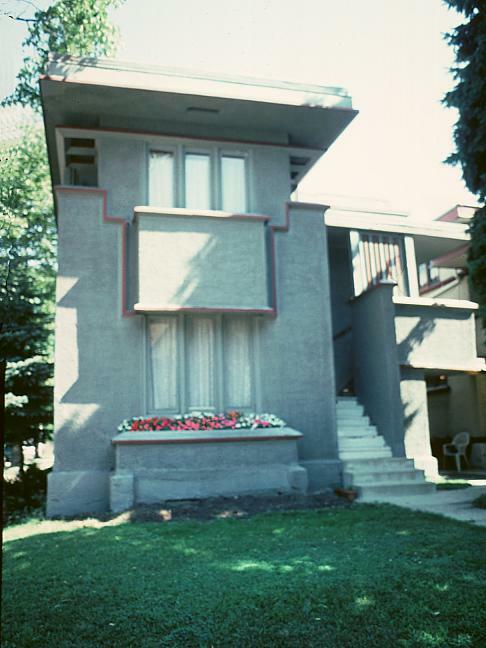 The Milwaukee developer Arthur L. Richards asked Wright to design these low-cost duplexes and bungalows. 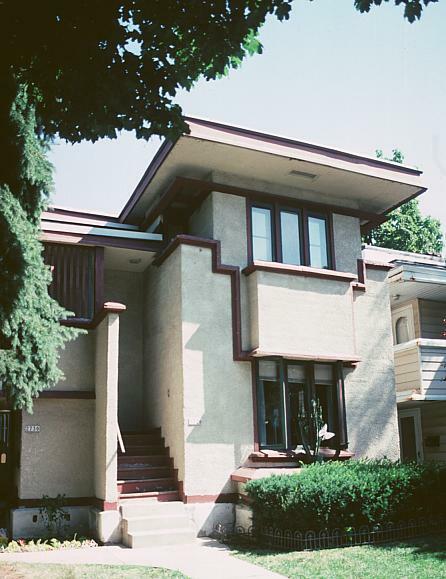 Originally all six units were surfaced in stucco with wood trim, although some have been remodelled or sided; one duplex has been transformed into a single family dwelling. 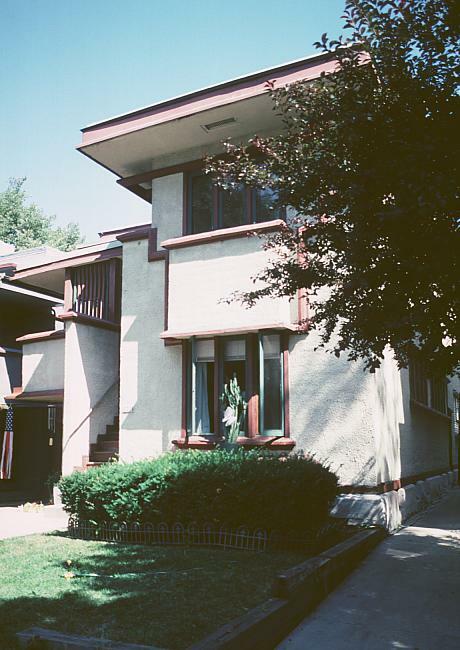 The second of the two bungalows on this block is not pictured.